The 2010 Prius was unveiled in South-Africa in 2009. The 2010 model has the same dimensions as the 2003 - 2009 model, but improves even further on fuel consumption. Priced at R 326 200 for the Advanced model and R 370 700 for the Exclusive model, both models offer a range of advanced features. The Exclusive model includes Park-Assist, which allows the Prius to park itself as well as HDD navigation. Also known as ZVW30. Hybrid components are smaller and lighter than the 2003-2009 model. Engine is a 1.8 litre Atkinson cycle unit compared to the 1.5 litre engine of the Generation II. The larger engine should improve highway fuel economy. Click on the photo to visit the 2010 Prius gallery at Priuschat. 2ZR-FXE 1.8L DOHC 16-valve VVT-i engine. The 2010 Prius features a new 1.8-liter engine (up from 1.5 liters in the Gen II Prius) that provides greater torque at lower RPM for improved fuel economy, especially on the highway. 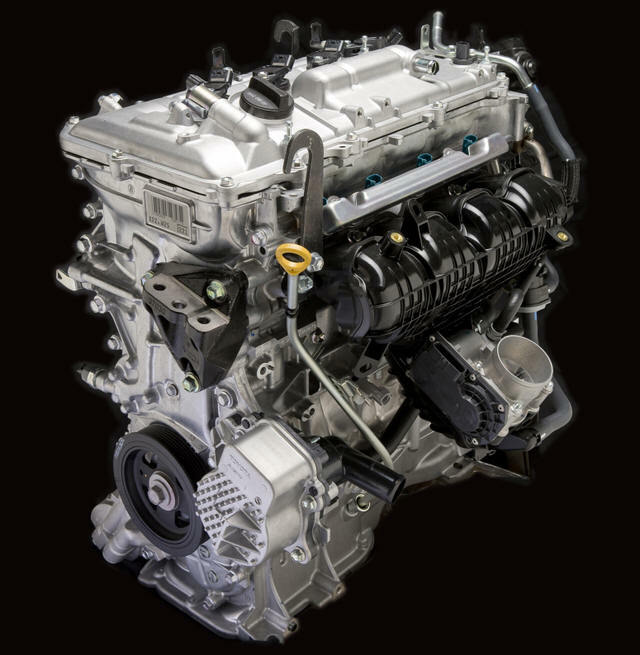 The 1.8L Atkinson cycle engine delivers 73 kW @ 5,200 rpm, and 142 Nm of torque @ 4,000 rpm. With the replacement of the engine’s belt-driven water pump, all engine coolant pumps are now electrically operated, reducing mechanical losses and providing engine coolant flow rate control independent of engine RPM at all times. 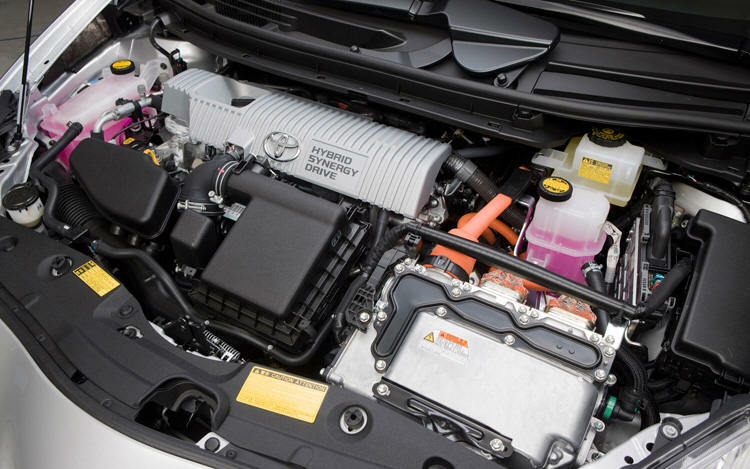 As Prius power steering and air conditioning systems remain electrically driven, the 2ZR-FXE powerplant is Toyota’s first beltless engine. 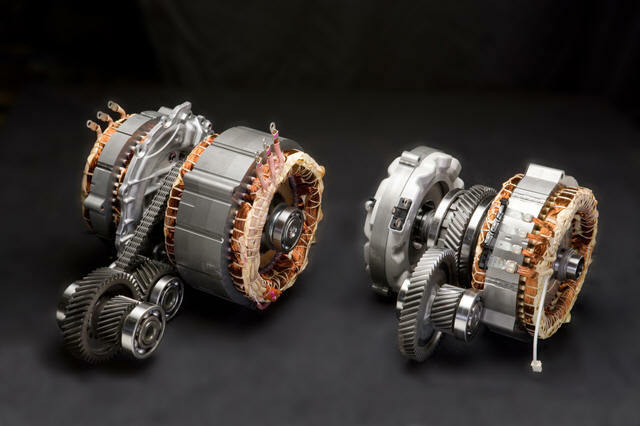 The all-new hybrid transaxle adopts improvements first used in previous post-2004 Toyota/Lexus hybrids such as the Camry hybrid, Highlander hybrid, and Lexus RX 400h, as well as refinements not previously employed. The result is 20% lighter in weight compared to the Gen II model. Inverter. 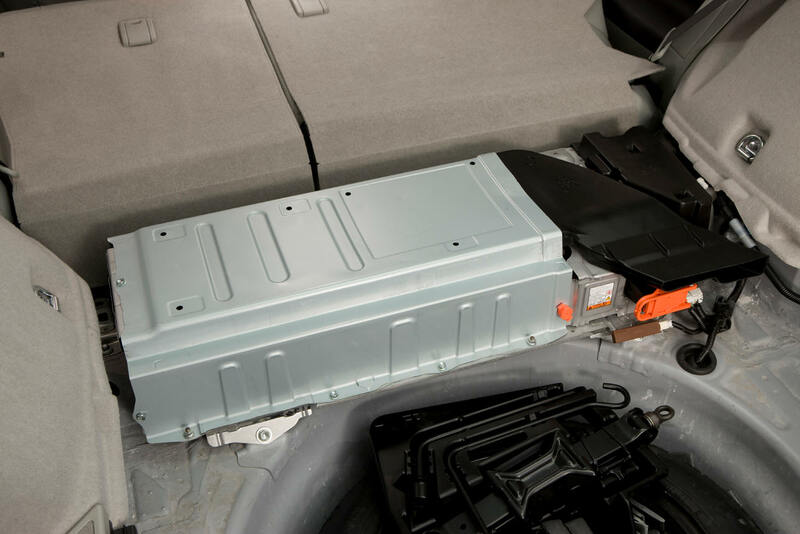 System operating voltage is now boosted from battery voltage to as high as 650 VDC by the vehicle’s boost converter before being converted into three-phase alternating current by the inverter, which Toyota refers to as a Power Control Unit (PCU). This represents a 30% increase over the boost employed by the Gen II Prius. All Hybrid Synergy Drive vehicles released subsequent to that vehicle have employed a boost converter capable of up to 650 VDC output to the inverter. 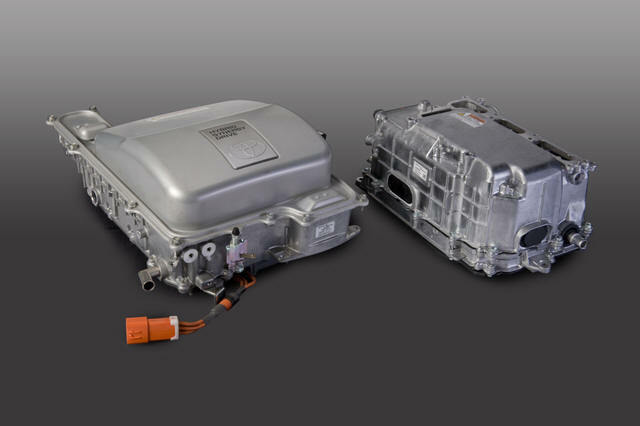 Similar in size and shape to current Toyota/Lexus hybrid inverters, the new unit features direct liquid cooling of the IGBT power transistors (developed in-house by Toyota), reducing energy losses.